Although the S.T.A.R. Labs particle acclerator accident is responsible for the creation of nearly every metahuman seen on The Flash, the facility itself is lacking in superpowered allies. Other than Barry Allen (duh), Firestorm and the now-deceased Plastique, every other superpowered individual in the city has been an enemy to them. Fortunately, they’ll have a new ally on their side when Season 2 kicks off who will be played by The Unit star Demore Barnes. However, his character’s comic book history suggests he may not be on their side for long. Barnes has been cast as metahuman Henry Hewitt, better known in the comics as the Firestorm villain Tokamak. According to Comicbook.com, Hewitt is a “a charming, but cocky scientist” who is recruited by Caitlin Snow to the S.T.A.R. Labs team, which will let him “fulfill his destiny as a powerful metahuman.” So far there’s no official word yet on when he’ll be appearing, or if he will fight Firestorm, though with the flamed-up hero set to soon join Legends of Tomorrow, the latter may not be as likely. Even though his role here will be slightly heroic for at least a short time, Hewitt is the fourth new supervillain that’s been announced for Season 2, following Atom Smasher, main antagonist Zoom and Legends of Tomorrow’s main antagonist Vandal Savage. 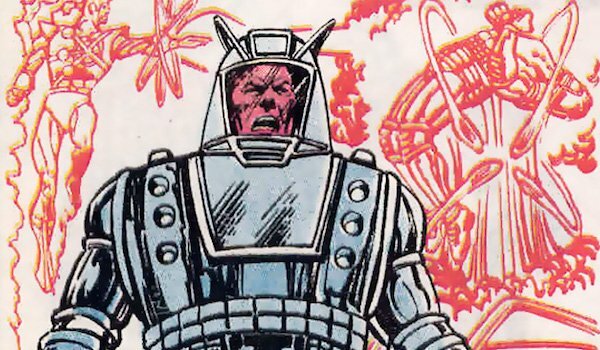 In the comics, Hewitt was a wealthy industrialist that attempted to recreate the nuclear accident that birthed Firestorm in order to heal his body. He subsequently kidnapped Senator Walter Reilly’s daughter Lorraine and used her as a guinea pig, and she was turned into Firehawk. After sending her to kill Firestorm, Hewitt exposed himself to the nuclear explosion and became Tokamak. He had several bouts with the Nuclear Man over the years, and was eventually killed after he was separated from the clone of himself that he merged with in order to keep his body from failing. Tokamak hasn’t been seen much in the modern era of comics, so an appearance on The Flash will help boost his profile for regular viewers and comic book fans who had forgotten about him. Hewitt is the latest addition from the Firestorm mythos on The Flash. In addition to the Nuclear Man himself (a.k.a. Ronnie Raymond and Martin Stein) and Caitlin Snow (a.k.a. Killer Frost), Season 1 also featured Multiplex and Jason Rusch. As for Barnes, his other TV credits include Supernatural, Hemlock Grove, Open Heart and Defiance. He can currently be seen as Whitley in the Syfy series 12 Monkeys. The Flash Season 2 will premiere on Tuesday, October 6 in its normal timeslot on The CW.